STATE—While New Jersey had no confirmed cases of the swine flu as of Tuesday morning, state health officials identified five probable cases in people who had recently traveled to Mexico or California. Officials declined to give details about the cases, but said that the patients were from several counties and had mild forms of the flu that did not require hospitalization. As of Tuesday afternoon, the federal Centers for Disease Control and Prevention (CDC) had confirmed cases of swine influenza A (H1N1) in 64 individuals in New York, California, Texas, Ohio and Kansas. In addition, hundreds of cases have been reported in Mexico. STATE – While he served as U.S. attorney for New Jersey, Christopher Christie authorized the tracking of individuals through their cell phones without first obtaining a warrant, the American Civil Liberties Union said last week. “Big Brother is tucked away in our cell phones, and the man behind the curtain is Chris Christie,” said Deborah Jacobs, executive director of the ACLU in New Jersey. RAHWAY—The Rahway River Association will hold its second annual conference, “State of Biodiversity upon an Urban Landscape” on Friday, May 8, at 8:30 a.m. at the Rahway Library, 2 City Hall Plaza. The day-long conference is open to the public for a $40 fee, which includes continental breakfast, lunch, registration materials, and a one year membership with the Rahway River Association. The conference will provide an assessment of the state of the flora, fauna and natural systems affecting the Rahway River watershed and our public lands. 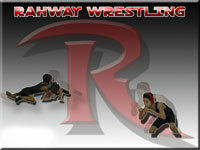 To register or for additional information, go to the association’s web site, www.rahwayriver.org. ELIZABETH—The fifth annual Play Ball for Miracles went into full swing at 9 a.m. on Saturday, April 18, in Warinanco Park, Elizabeth. Play Ball for Miracles began in 2005, shortly after Patrick Macnab was diagnosed with a bleeding disorder so rare that it still has no name. The tournament benefits Children’s Miracle Network, who in turn, distributes the money to local area hospitals that specialize in children’s care. Over the past four years, Play Ball for Miracles has raised nearly $30,000 for hospitals such Bristol-Myers Squibb Hospital at Robert Wood Johnson University Hospital in New Brunswick and Children’s Specialized Hospital in Mountainside. SPRINGFIELD—AAA New Jersey reminds parents, grandparents and caregivers to keep children seated, safe and secure when riding in motor vehicles. To educate parents about how to keep their little ones seated, safe and secure in a motor vehicle, the Club is sponsoring free child safety seat checks at the AAA Car Care Center in Springfield, located at 135 Route 22 East (at Fadem Road) on Friday, May 1 from 11 a.m. – 2 p.m.